Spend your weekend having some two-wheeled fun! Bend Wheelhouse specializes in motorcycle and scooter rentals so you can breeze around Central Oregon with the wind at your back and the sun on your face. If you’re visiting from out of town, leave your motorcycle at home and rent a ride from Bend Wheelhouse. 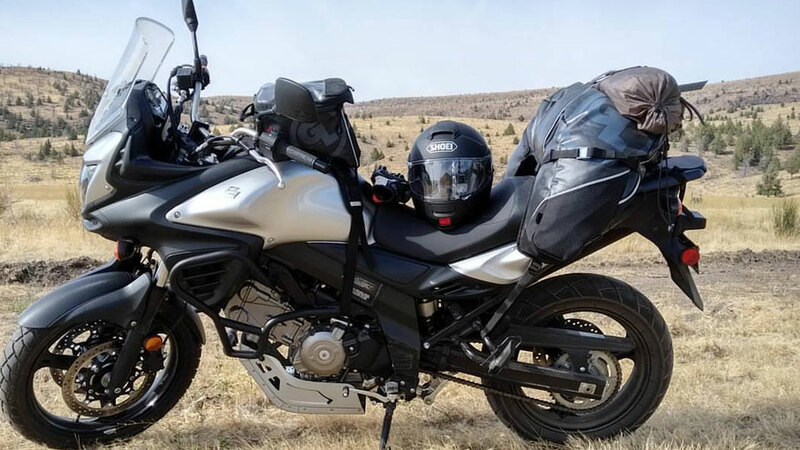 Every bike is equipped with a skid plate, engine guards, a Giant Loop Fandango Tank Bag for storage, including a USB port for phone charging, and a local road and trail map. In addition, each rental includes state-minimum liability insurance, a Bell MX-9 Adventure helmet (with or without 100%-brand goggles). No motorcycle license? No problem! The Genuine Buddy line of scooters are a simple and fun way to get around town easily, and all you need is a valid standard driver’s license. Cruise by beautiful Drake Park and Mirror Pond on your way to shop and dine in downtown Bend or ride to your favorite trailhead for a hike or trail run. Each rental includes a GMAX half-helmet and state-minimum required liability insurance. Whether you choose a motorcycle or scooter, Bend Wheelhouse is the most fun you can have on two wheels.